Is Mbbs In Ukraine A Good Option For Indian Students? MBBS in Ukraine was extremely popular to study, for Indian students till 2013 -14. But due to the war against Russia on the eastern part of the country a few top medical universities were in Indian students perused medicine at low cost were transferred to Russia. From last one year Ukraine has made its way back into the heart of students, More than 2000 students were registered for Ukraine universities in last one year. 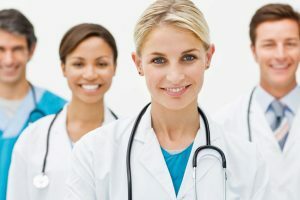 MBBS in Ukraine is economically free for those who want to study medicine and is much cheaper than the Indian universities offering the same course. It’s much affordable and economically manageable in comparison to India. Huge number of students pursues medicine from these colleges in the Western part of Ukraine. The student can get direct admission in MBBS in Europe to study further as well. All this is because the basic cost of study in Ukraine is very low.The tuition fee, hostel accommodation, food; living and miscellaneous expenses are also under the control of education board and is quite affordable. Hence it’s preferable to pursue MBBS in Ukraine in comparison to India due to its economic balance and availability to favourable services. This country is super safe (more than Bharat for sure) particularly for women. 100 percent safety assured. They really love well unnatural and civilized foreigners. The university in a year enrol about 120 to 150 students. Like many other countries and universities Ukraine universities do not enrol students only to earn money. They are dedicated to give the best. The universities of Ukraine follow ECTS (European Credit Transfer System) grading system. This grading system of the universities makes the degree programme as well as student performance very transparent. In any of the European country if the candidate wishes to go for higher education the ECTS grading is easily recognised which add up the positive response for the candidate. Hence it’s preferable to pursue MBBS in Ukraine in comparison to India due to its economic balance and availability to favourable services.